Sometimes being in the dark is fun. When I’m playing with my grandchildren I allow my imagination to run a little wild. I jump behind a tree or freeze in the shadows so they won’t easily find me. Other times the shadows make me afraid. I’m in a place now where I don’t know the outcome of my struggles. I follow Jesus and I’m learning his ways, but I don’t know why things are the way they are. Being in the dark may sharpen my senses, but it’s not always fun. Why do I so quickly forget how I came to this place? The psalm starts with “The Lord is my shepherd.” I’m walking through the valley of death shadows because this is where my shepherd brought me. We didn’t come by accident. It also says he’s the restorer of souls and a shepherd who comforts with his rod and staff. I’m sure if I stop focusing on the pounding of my heart I’ll feel his gentle pressure against my shoulder, directing me down the right path. I’m so glad the psalm doesn’t say we’ll stay long. He’s leading me through the valley, not to it. This place of not seeing clearly may be uncomfortable, but he won’t abandon me to the wolves that call to my fear. He is with me, he is leading me, and he uses his tools to comfort me. For now, that’s all I need to know. Here’s a good plan: Stay close to the shepherd! Subscribe to receive these devotional posts in your inbox. Your private information will not be shared with anyone. 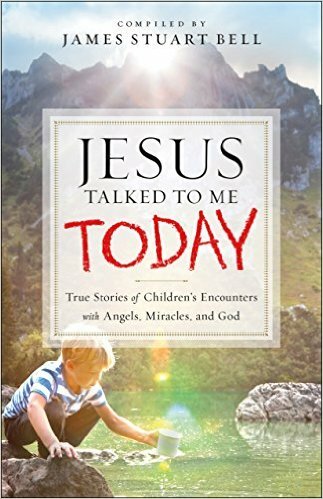 I'm a contributing author of Jesus Talked to Me Today, available at Amazon.com and Barnes & Noble.